The Corporate Council on Africa (CCA), the leading U.S. business association focused on U.S.-Africa trade and investment, announced today that Florizelle (Florie) Liser, Assistant U.S. Trade Representative for Africa, will be the Council�s next President and CEO. Ms. Liser was appointed unanimously by the CCA Board of Directors following an international search. Her appointment is effective January 23, 2017. The Africa Travel Association is part of CCA since the end of last year. �We are thrilled that Florie Liser is the next President and CEO of the Corporate Council on Africa� said Dr. Jeffrey L. Sturchio, Board Chair of CCA and President & CEO of Rabin Martin, �She has unmatched experience in U.S.-Africa trade and investment policy, deep knowledge of Africa and an unparalleled network of relationships with leaders across sub- Saharan Africa including heads of state, ministers and other key stakeholders, in the U.S. Government, multilateral organizations, the business community, and civil society. These strengths and her vision make Florie the perfect person to lead CCA into the future, building on the strong foundations laid by Stephen Hayes and the team�. Ms. Liser succeeds Stephen Hayes as the third President and CEO of CCA. Florie brings her expertise and extensive network on trade and Africa to her new role, along with a strong track record of working with the private sector to translate policy into action. She will also be the first woman to lead the Council since its founding in 1993. �21st century Africa presents enormous opportunities for businesses looking to take advantage of growing markets across the continent� said Ms. Liser. �In my new leadership role at CCA, I look forward to building on CCA�s great work to date, and I�m committed to working with U.S. and African businesses and other stakeholders to grow opportunities and strengthen commercial relationships across Africa�. Ms. Liser will join CCA from the Office of the U.S. Trade Representative (USTR), where she has been Assistant U.S. Trade Representative for Africa since 2003. In that role, she has led trade and investment policy towards 49 sub-Saharan African nations and oversaw implementation of the African Growth and Opportunity Act (AGOA). Prior to this role, Florie served as Assistant U.S. Trade Representative for Industry, Market Access, and Telecommunications from 2000-2003. She has also served as Senior Trade Policy Advisor in the Office of International Transportation and Trade at the Department of Transportation from 1987-2000; worked as a Director in USTR�s Office of GATT Affairs, and also served as an Associate Fellow at the Overseas Development Council (ODC) from 1975-1980. Washington, DC � Many of you are aware that the Tenth Corporate Council on Africa Biennial Business Summit held last week in Addis Ababa, Ethiopia was an enormous success. Officially, one thousand four hundred eighty-seven (1,487) participants registered for the event. The Summit took place within the United Nations Conference Centre in Addis with tight security. Addis Ababa is one of the most rapidly developing cities in Africa with construction seemingly everywhere. With a more liberal business environment, it can become one of the great cities of Africa rivaling any city on the continent. The Summit was co-hosted by the African Union, with the Chairman of the African Union, Dr. Dlamini-Zuma participating in the opening ceremony, along with Assistant Secretary of State for Africa Linda Thomas-Greenfield, the Prime Minister of Ethiopia Hailemariam Desalegn and Chairman of the Corporate Council on Africa Paul Hinks. According to the Foreign Minister of Ethiopia, the conference was the largest US-led event ever held in Ethiopia. In my opinion, biased, of course, the program content, under the leadership of Vice President of the Corporate Council on Africa Ambassador Robert Perry was excellent. It was forward thinking and covered most of the breadth of CCA program sectors, including our newest sector, tourism. The programs and the discussion therein helped set the course for the organization for the next two years and perhaps beyond. There is now a great amount of work to be done for our members and the US-Africa relationship. It is clear from this Summit that the Corporate Council on Africa has an important role to play in the future and the expectations of the Council and its members by African leaders and businessmen are high. We will need to strengthen many parts of the organization to be able to meet these expectations. To do this, we need to have you involved and providing information throughout the year regarding how we can better serve you. 1. The Rockefeller Foundation chose the summit to announce its new agriculture program, designed to reduce food waste throughout Africa. They stated that this program would prove to be as important as the Green Revolution of the 1970s, which increased food production worldwide. A minimum of thirty percent of crops are wasted before they ever get to market, and the Rockefeller Foundation announced the steps of a new program to eliminate waste in the fields. 2. The COMESA Business Council, which is an equal partner and the private sector partner of COMESA, the largest and most effective regional organization in Africa signed an MOU with the Corporate Council on Africa that launches a new partnership on trade facilitation initiatives. The partnership will be modeled on a project CCA launched in 2014 to develop joint private sector recommendations on trade facilitation in East Africa, which has been central to the White House Trade Africa Initiative. The CCA-CBC partnership provided guidance for the meeting of the COMESA TIFA in Lusaka on February 8, 2016 and is designed to help facilitate trade in the COMESA region, as well as to provide private sector support for the Trade Africa initiative. It will be implemented through the CCA Trade Africa Working Group. 3. AGCO, a member of the Corporate Council on Africa used the summit to roll out its new revolutionary tractor, affordable and useable for villages and small farms throughout the continent. The low-maintenance, low-cost tractor has the potential to reduce the workload of farmers and villagers throughout Africa. 4. USTDA signed a financing agreement with the Government of Ethiopia during one of the workgroups in the conference. 5. CCA announced that the World Africa Tourism Conference, to be convened under its new division, the Africa Travel Association, will be in Rwanda in November 2016. 6. Our sister organizations of Canada, UK, Germany, Belgium, Turkey, Norway, Denmark, Hungary, UAE, Switzerland, Greece, Italy and the Netherlands met with CCA and selected African business organizations to map out our partnerships over the next two years as well. This will provide greater business contacts for our members. There were, of course, hundreds of potential business deals being discussed during the summit in networking and social time. The conference space, plus the several new hotels in the area provided ample opportunity for private meetings. We left optimistic that Ethiopia will continue to be more open to US business in the future, while recognizing that there still is much work to be done. To those members of CCA who participated and sponsored we are grateful. We had a record level of sponsorship and number of sponsors, and we hope that you share our belief that your faith in the Corporate Council was justified. Conferences are not our final product. They are a means to bring businesses together, many of whom would not meet otherwise. For us, our conferences define our work for the next two years. It is the time between events that we work most for your interests. Again, thank you for your continuing support and we look forward to working with you throughout 2016. Washington, D.C. The Corporate Council on Africa (CCA) announced today that the United States Trade Representative, Ambassador Ron Kirk, will participate in a plenary session on trade at CCA's 7th Biennial U.S.&endash;Africa Business Summit: Realizing the Investment Power of Africa, Washington, D.C.
"Ambassador Kirk is a key advocate for trade and development on the African continent," said Stephen Hayes, president and CEO of CCA. "In tough economic times, trade and investment creates jobs both in Africa and the United States." At the trade plenary, Ambassador Kirk will join Deputy Chairman of the African Union Erastus Mwencha; Ghana's Minister of Trade and Industry Hanna Tetteh; Tanzania's Minister of Trade Mary Nagu; and Senior Fellow Rod Hunter of the Hudson Institute. Panelists will provide analysis of the African Growth and Opportunity Act (AGOA), the cornerstone of U.S. trade and economic policy regarding Africa. Panelists will also discuss the reinvigoration of the Doha Development Round, which carries the promise of unlocking markets for African products and minimizing distortions in global agricultural trade. Despite the current economic climate, U.S. exports to Africa have increased significantly. Mississippi has seen its exports to Africa grow by more than 300 percent. Pennsylvania, South Dakota, Connecticut and Nevada have seen their exports to Africa double. As United States Trade Representative (USTR), Ambassador Kirk is a member of President Barack Obama's Cabinet and serves as the president's principal trade advisor. He also serves on the Board of Directors of the Millennium Challenge Corporation. The office of USTR is responsible for the development, implementation and enforcement of U.S trade policy. This responsibility includes the oversight of ongoing trade negotiations within AGOA, the Doha Development Agenda and the North American Free Trade Agreement. Ambassador Kirk is responsible for U.S. trade policy involving agriculture; industry; services and investments; intellectual property; environment; labor; development and preference programs. For more information on and to register for the 7th Biennial U.S. &endash; Africa Business Summit, visit: www.africacncl.org. All working media must be credentialed to cover the summit. Please open the following link: 09 Summit Media Credential Form and submit media form to: summit@africacncl.org. Sandy Dhuyvetter, executive producer and host of TravelTalkRADIO and TV recalled that "my first interview with Stephen Hayes [President and CEO of CCA] was back in 2002. I quickly learned that Stephen and I both share a keen interest in the people and culture of Africa and that we have both worked extensively on the continent. We look forward to getting the good word about the CCA out to audiences worldwide. We are delighted to be actively participating in the Council's activities, especially the upcoming U.S. - Africa Business Summit in DC." "We are proud to have an organization like TravelTalkMEDIA become a member and, just as importantly, to serve as a strategic media partner," added CCA President and CEO Stephen Hayes. "Working more closely together will help us to broadcast and distribute the CCA's messages and the goodwill of its membership on a global basis. We look forward to the participation of TravelTalkMEDIA in the Summit." Established in 1993, The Corporate Council on Africa is a nonpartisan membership organization of nearly 180 U.S. companies dedicated to strengthening the commercial relationship between the U.S. and Africa. CCA members represent 85 percent of total U.S. private sector investments in Africa. The organization is dedicated to bringing together potential business partners and to showcasing business opportunities on the continent. More information about CCA is available at www.africacncl.org. About the 7th Biennial 2009 U.S. &endash; Africa Business Summit: Realizing the Investment Power of Africa. 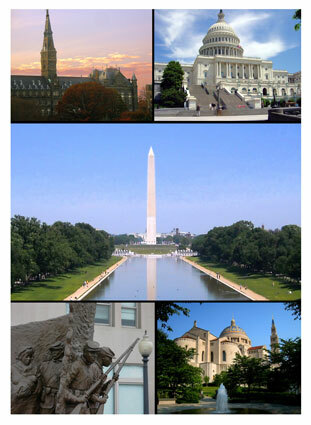 This three-day event will be held at the Walter E. Washington Convention Center in Washington, D.C., September 29-October 1, 2009 and is expected to attract more than 2,000 leaders from the private and public sectors in the U.S. and Africa. Participants will have the opportunity to network with key African and U.S. private sector and government representatives and attend more than 50 industry-specific sessions and workshops on Africa's most promising economic sectors. For more information on and to register for the 2009 7th Biennial 2009 U.S. &endash; Africa Business Summit, visit www.africacncl.org. Established in 1993, The Corporate Council on Africa is a nonpartisan 501 (c) (3) membership organization of nearly 180 U.S. companies dedicated to strengthening the commercial relationship between the U.S. and Africa. CCA members represent nearly 85 percent of total U.S. private sector investments in Africa. The organization is dedicated to bringing together potential business partners and to showcase business opportunities on the continent.